Oh my goodness, this is SUCH A TOUGH ONE! Retro has made a comeback in a big way in recent years and it’s fully trending at the moment. Interesting colour palettes, curvy lines, pastel kitchen ware – it’s all there. But what about my beloved, clean lined Scandinavian designs? White on white with layered textured, blonde wood and simple accents… let’s see who will win between Retro and Scandinavian! Think teal and mustard, tapered legs, psychedelic patterns and peacocks. I have very vivid memories of 70’s prints adorning my grandmother’s home and have always loved the vibrant colours of the era. Here are a few ways that you can embrace the trends this year! 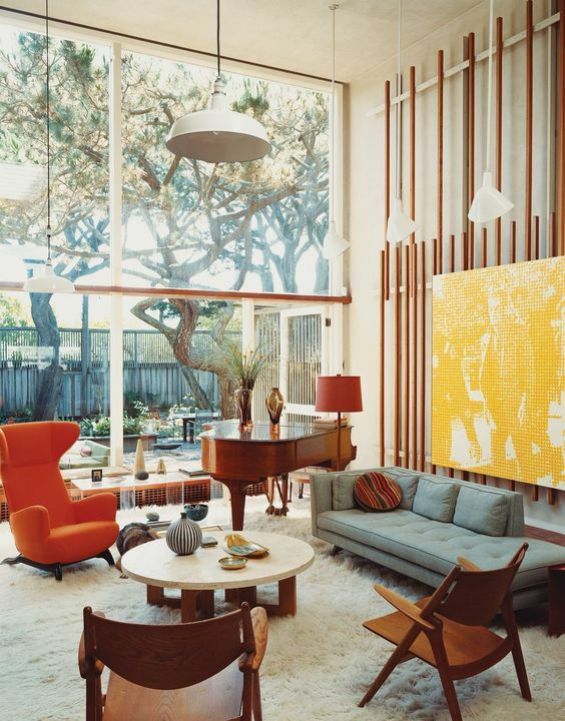 Shag pile carpet, orange, mustard, slick wood and Saarinen-inspired chair: this room is a retro heaven! Dressers with tapered legs is the easiest way to introduce the trend into a room, and whether you buy new or vintage, there are plenty of these around. Complement the look further with some tassel or bauble fringing on throws, lampshades and scatters and you’re good to go! 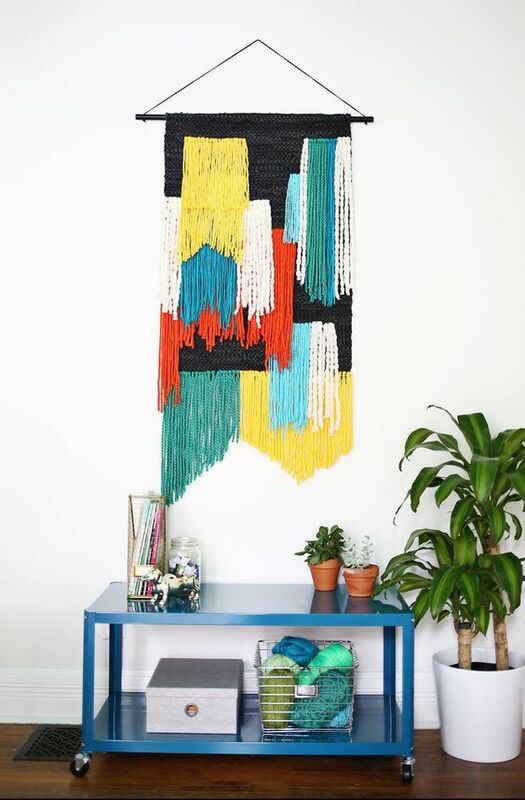 Macramé, weaving, textile arts and more: if you want a bit of 70’s flavour in your décor, get your craft on! The colours have been slightly updated to bring the craft of wall hanging into the 2010’s, but the principles remain the same. This is a great way to get texture and colour into a room! The colours of retro interiors tend to be bold and adventurous: olive and salmon, teal and mustard, orange and fern, and chocolate with everything. Get a 70’s vibe going by incorporating these colours into your interior, even if you don’t go for the overall look. 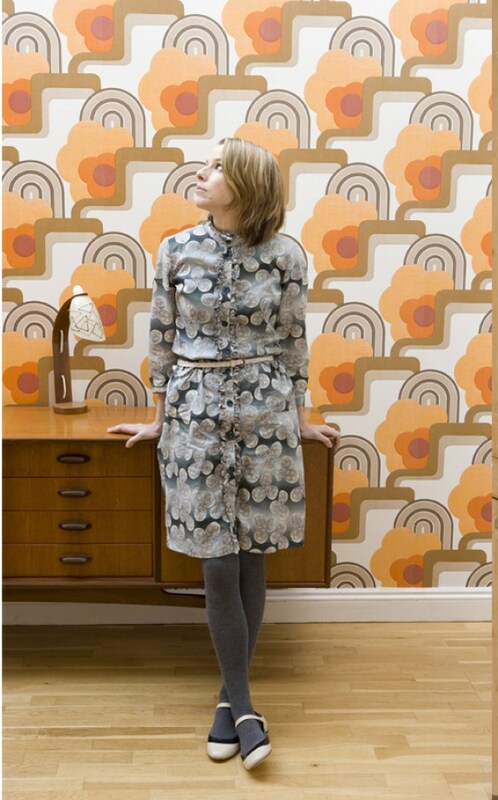 Wallpaper from the 1970’s had that quintessential vibey pattern and the updated versions are just as cool. Introduce a few new colours and elements and you have a super trendy focal wall! 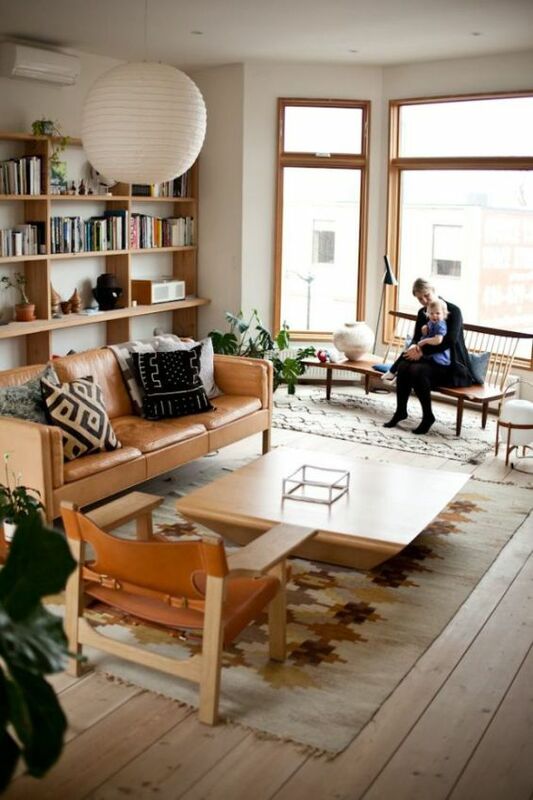 I am totally in love with Scandi design: it’s minimalist while being warm; simple and elegant. 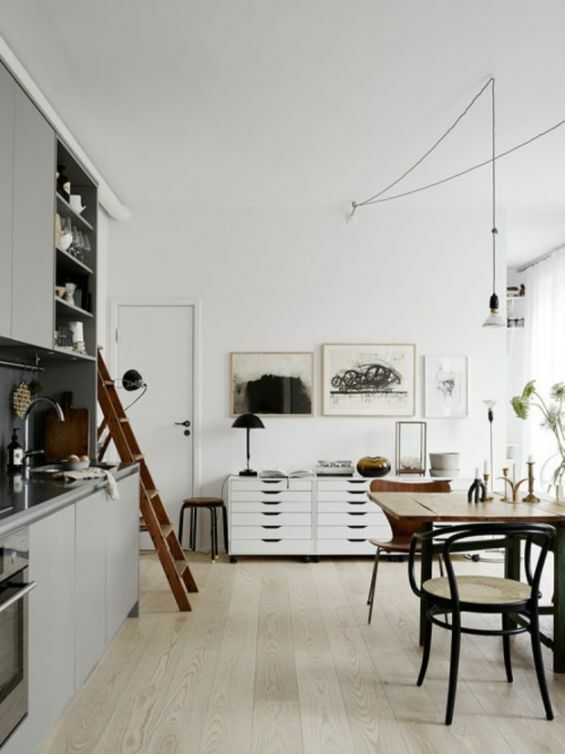 While I totally aim to have a Scandinavian-inspired interior, I find it hard to stick to only that. I have a few antiques and Oriental pieces that I can’t seem to let go of, and I also really love a colour pop and a dark wall every now and again which goes against the mostly-white theme of the style. 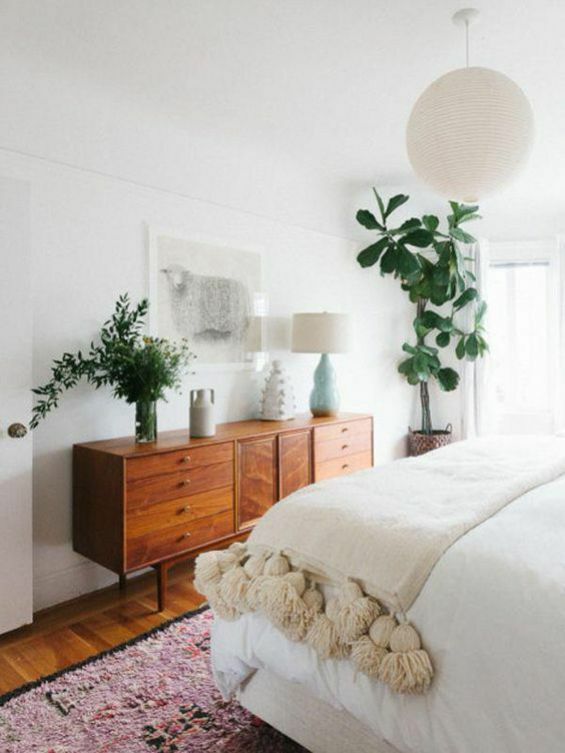 But lucky for me, Scandinavian interiors are not all snow white: here are a few ways to incorporate it into your home. 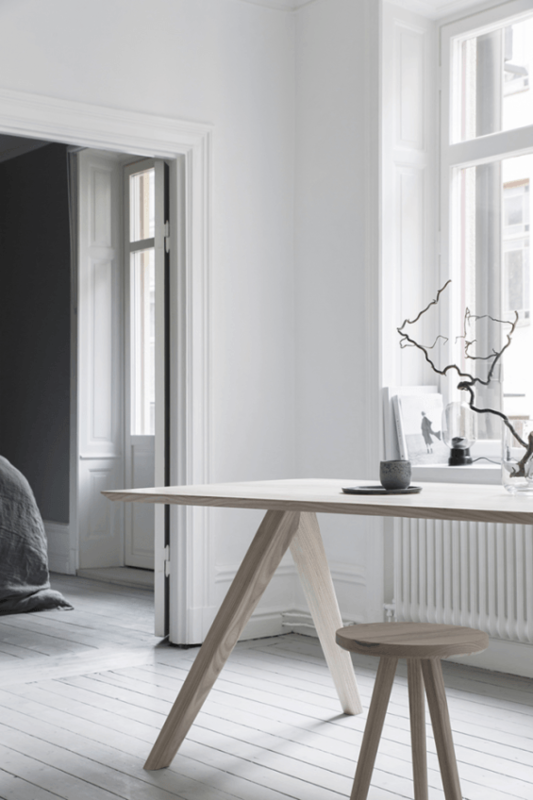 So let’s get the most obvious one out of the way first: floor to ceiling in crisp white, minimal furniture and blonde wood, with accents of moody grey. 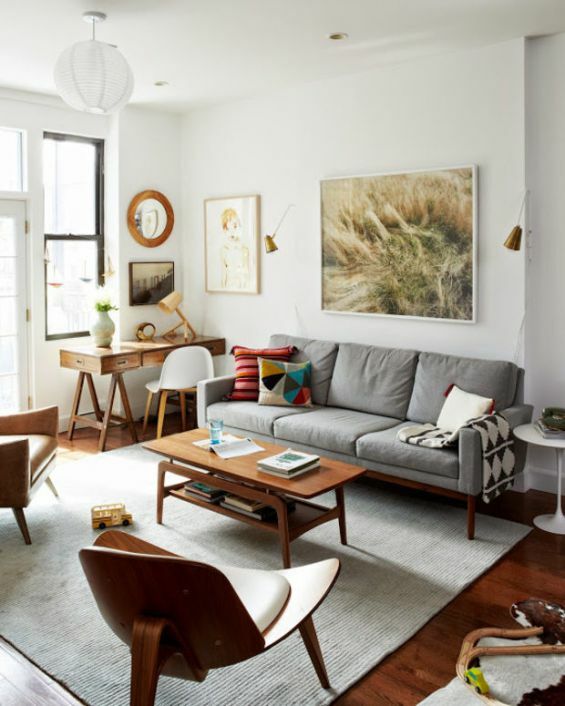 The idea behind Scandinavian design is that it makes exquisitely designed pieces available to the masses, and then showcasing those pieces without clutter. Think Ikea, where beautiful pieces are designed and then mass-produced. So get your paint brush out, throw everything out except for the beautiful essentials and you’ll have this trend down! Getting a bit warmer, this is a great way to remove the starkness from the style. Combine it with warm woods (still light though!) and some graphic elements to create a warm and welcoming room. Taking the graphic theme further, throw in some strong black elements to create a beautiful contrast with the white. To complement the black, you can add a few items with darker wood, but keep the floors and walls light to allow as much lightness to the space as possible. If all of the white scares you, then opt to stick to the classic designs of the style: slick lines, bent wood, tapered legs and a few key designer pieces of the time. Famous designers from this time include Eero Saarinen (American, but originally from Finland), Arne Jacobsen, Werner Panton and Finn Juhl to name only a few. And if the real thing doesn’t it your budget, opt for a well-made piece that follows the same style.